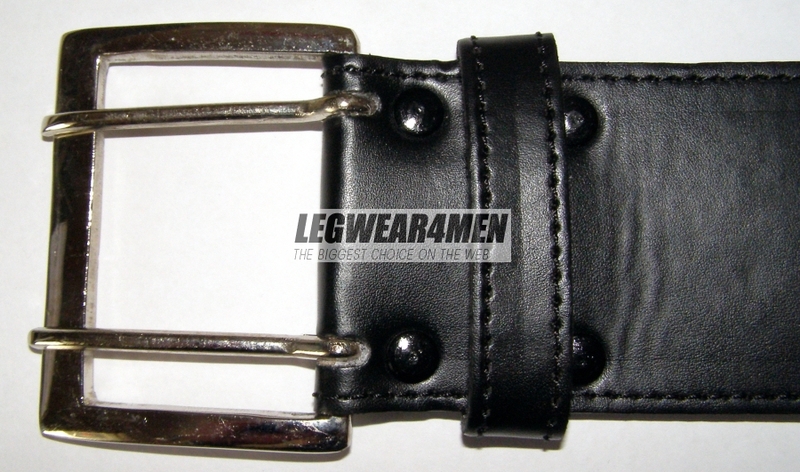 L4M 132 Wide Leather Belt [L4M 132 Wide Leather Belt] - £10.99 : Legwear4Men, - because men have legs too! A high quality 2.5"/6cm leather belt, with metal buckle. 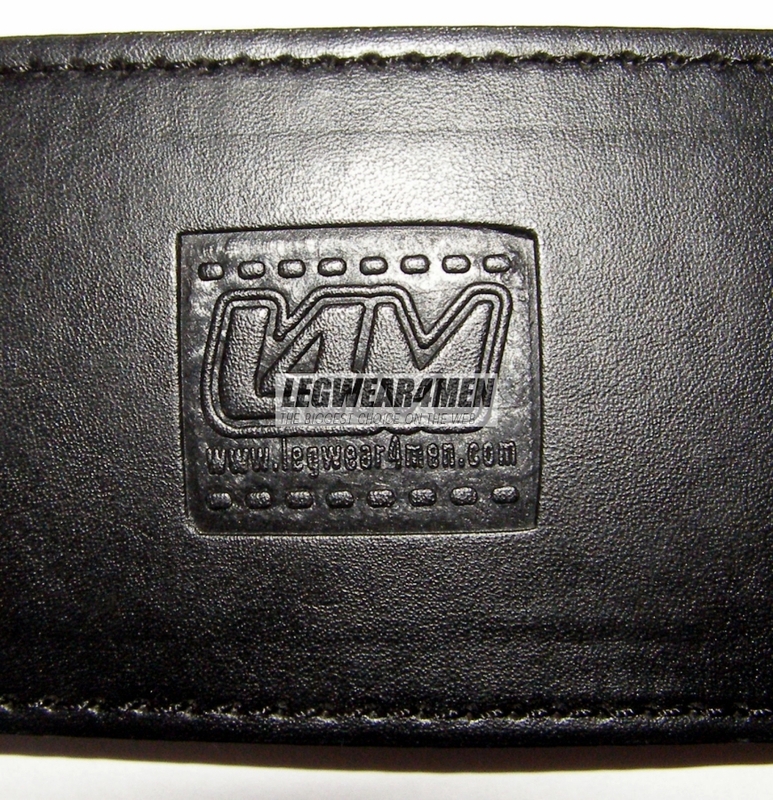 The belt is embossed with the 'L4M' logo at both ends. 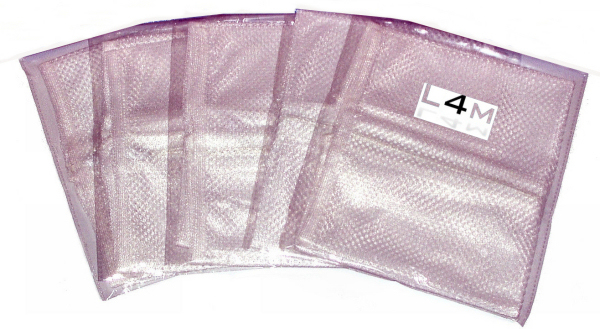 Available in two widths and three waist sizes, 32-34", 34-36" and 36-38". This is the 'wider' version.